Palestinian medical sources have reported that a man died, on Monday morning, from complications resulting from wounds he suffered three weeks earlier, after Israeli soldiers shot him in southern Gaza. 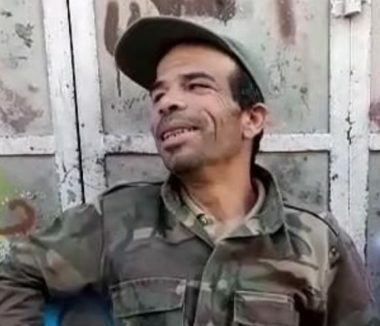 The sources said the man, Ghanem Ibrahim Sharab, 44, from Khan Younis, in the southern part of the Gaza Strip, was shot by the soldiers three weeks ago. Sharab died from serious complications resulting from his injury, especially after the doctors had to amputate his left foot, on October 29th. Gaza Strip hospitals have been complaining from serious deficiency in urgent medical supplies and equipment in the besieged and improvised coastal region. The Health Ministry in Gaza issued numerous statements and appeals regarding the seriously deteriorating conditions in the hospitals, due to the thousands of injuries, including hundreds who suffered very serious wounds, since the Great Return March processions started on March 30th, and the ongoing Israeli siege on the coastal region. On Sunday evening, a Palestinian teenage boy, identified as Emad Khalil Shahin, 17, from the Nusseirat refugee camp in Central Gaza, died from serious wounds he suffered a day earlier, after Israeli soldiers shot and seriously injured him. 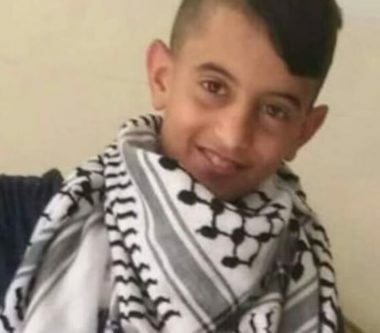 Silwanic said the soldiers abducted Adam Mansour Resheq, 15, Yousef Mohammad Hijazi, 14, Yazan Mohammad Froukh, 16, and Ali Ahmad Abu al-Hawa, 17, and moved them to the al-Maskobiyya detention and interrogation center. Silwanic added that the five abducted children are from Silwan town and the at-Tour neighborhood, in Jerusalem. On Monday at dawn, the soldiers abducted six Palestinians, including five former political prisoners from their homes in Jenin governorate, in the northern part of the occupied West Bank. In addition, the soldiers invaded the al-Matar neighborhood, north of East Jerusalem, and abducted a young man from his home. The soldiers also detained two young men at the Qalandia terminal, north of Jerusalem, and released them a few hours later, in addition to abducting two young man in Ramallah. 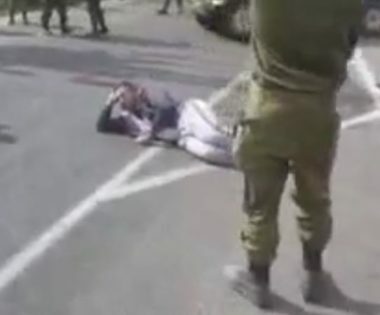 Furthermore, the soldiers shot a Palestinian man in his own home, and abducted his son, in Halhoul town, north of Hebron, in the southern part of the occupied West Bank. The army also abducted four other Palestinians in Hebron and Ramallah. It is worth mentioning that the soldiers abducted, at dawn, at least seventeen Palestinians from their homes, in several parts of the West Bank. In Nablus, in northern West Bank, a Palestinian infant was injured after a group of illegal Israeli colonialists hurled stones at her family’s car.